Well, enough with the VFM injokes, here we go! Right off the bat, Gord Katic runs out of time during his introduction, so if your internet connection just happened to drop out then, you didn’t miss much. Highlights: more club promotions, AMS transparency, agreeing with Mike Silley A LOT, keep students in the consultation process for the SUB and LUP. And You Win: the “Blame it on Bijan” Award! Mike’s intro is equally long-winded, with a LONG list of UBC things he does (we swear, it took up half of his time), but since his points weren’t all that interesting either, we’ll let it slide. Highlights: let’s digitizing the SAC, reviewing the Whistler Lodge situation (extreme makeover = big possibility). And You Win: the “Smiley Face” Award. CiTR accidentally called him Mike Silly and for the longest time, I thought his name was Michael Smiley. Too bad, it would’ve been a great joke candidate name. Speaking of joke candidates, Kathy Yun Li does NOT disappoint (or Kath¥, as she wants to be called)! With all the glitter and sparkle, we obviously have a Confidential reader on our hands! If you’re reading, Kath¥, HIIIIIIIIII!!!! Highlights: Glitter and sparkles makes everyone more attractive, No Pants Parties, SUB needs moar brewpub (Smiley agrees), Jack Daniels flowing out of fountains, Clubs parade with military trucks. You know, the usual fun stuff. Award: the “Stand-Up” Award! Judging by how prepared her material seemed, Kath¥ doesn’t sound like an” improv” kind of girl. That’s fine by me; stand-up comics are underrated, anyways. Apparently, Jack Daniels fountains don't exist yet. 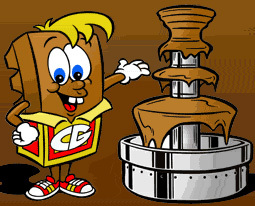 Enjoy this chocolate fountain instead. And You Win: +1 internets. The debates are, after all, part of the campaigning, after all. Jennifer Wang, who I have found almost nothing on because there are SO MANY JENNIFER WANGS IN THIS SCHOOL, did very well, considering she’s up against some big names in AMS Politics. Highlights: Got into a lot of great mini-debates with Justin Yang. Sounds like she’s thought about this long and hard and has a lot of things she wants to change (though that’s what they ALL say). And You Win: the “My Apologies” Award. I’m probably not enough of an AMS hack or an investigative journalist to notice that Jennifer is on the Legislative Procedures Committee, but once again, nobody reads the Ubyssey. Justin Yang knows this position inside and out. He started namedropping things that even UBC Vanguard – I mean, Miniowl – with their extensive hack-xperience, couldn’t really recall. Impressive start to a good campaign. Highlights: I could write about the issues here, but then again, even I couldn’t really follow them. Instead, enjoy possibly the only Justin Yang slipup of this debate. Aww, but it would've made such a great campaign slogan! And You Win: +10 internets, for mentioning your actual, working website. 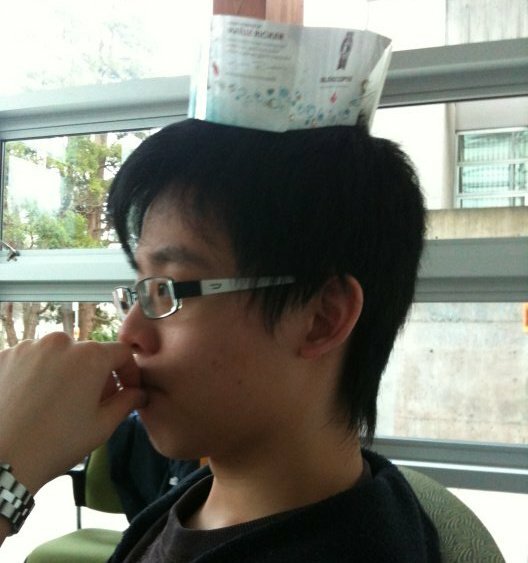 Pictured: The only picture I could find of Justin Yang and a watch. We can't afford to photoshop expensive watches anymore. FEED US! Oh noes, CiTR runs out of time! But what do we do with the Debate Awards? Whichever VP Finance candidate can send in the best photoshop of their opponent in true AMS Confidential fashion will get the prestigious “Honorary Commerce SuperDegree” Award (not-a-degree) and the non-winner will be the ONLY CANDIDATE IN THIS DEBATE NOT TO GET AN AWARD/INTERNETS!!!! Matt is doing a degree in Biology. Jeniffer is doing a degree in English. Justin is doing a degree in Biology AND English. Best Candidate? I think so! Is that first picture a talking scrotum? 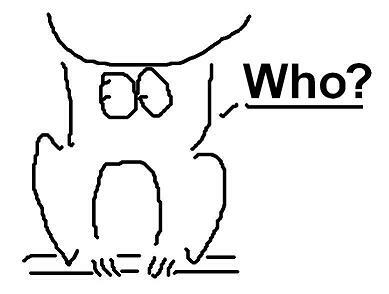 It’s the UBC Vanguard’s Minimalistic Owl. So depending how you look at it, it could be.